I’ve had several vendor’s takes on a “chocolate” Pu-erh, many of which work quite nicely. Cocoa and Pu-erh complement each other well in that Pu-erh is dark and bitter and thick, and chocolate is dark and bitter, but also sweet and gooey. Thus, the idea of combining not chocolate, but rather caramel with Pu-erh sounds equally as delightful. Aroma is usually the very best thing about Pu-erh, and Caramel Pu-erh is no exception. The caramel note blends quite well with this generic Pu-erh to create a rich Columbian coffee or dirty English toffee. An actual earthy Pu-erh note does underlie the coffee-scent, though it’s hard to call it unappealing. 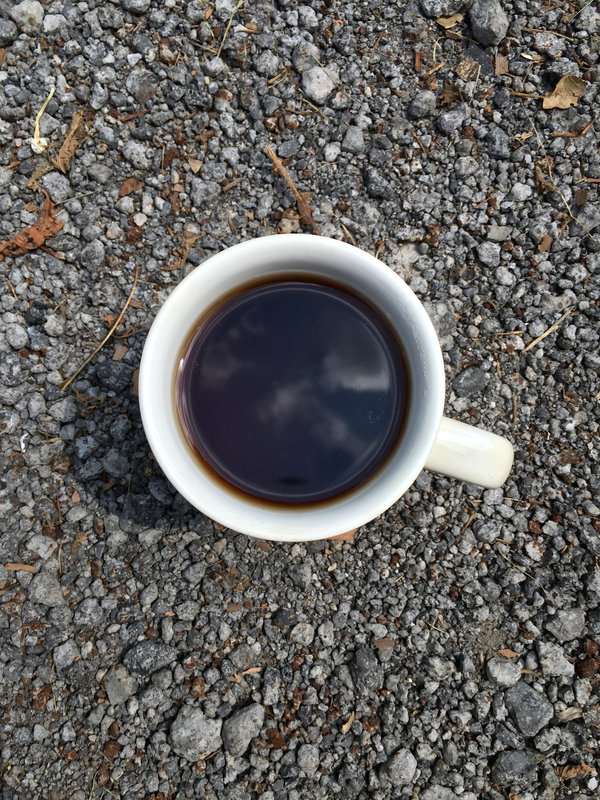 Caramel Pu-erh’s flavor is kind of exactly the kind of thing one would give a coffee-lover who’s not sold on the taste of tea: a delicious peaty, barky Black zing with a hint of caramel sweetness. I won’t, but if you added milk and sugar, I’m thinking it would be difficult to tell Caramel Pu-erh apart from some coffees (though fortunately for me, Pu-erh doesn’t have the same adverse effect on my IBS that coffee does). Texture-wise, Caramel Pu-erh is a slight bit disappointing–i’m fairly sure more grit would come through in the infusion if a real Beencha, say from Xishuangbanna was used. Caramel Pu-erh (ChocolaTea): loose leaf by Jocilyn Mors is licensed under a Creative Commons Attribution-ShareAlike 4.0 International License. Caramel Pu-erh (ChocolaTea): spent by Jocilyn Mors is licensed under a Creative Commons Attribution-ShareAlike 4.0 International License. Caramel Pu-erh (ChocolaTea): liquor by Jocilyn Mors is licensed under a Creative Commons Attribution-ShareAlike 4.0 International License.